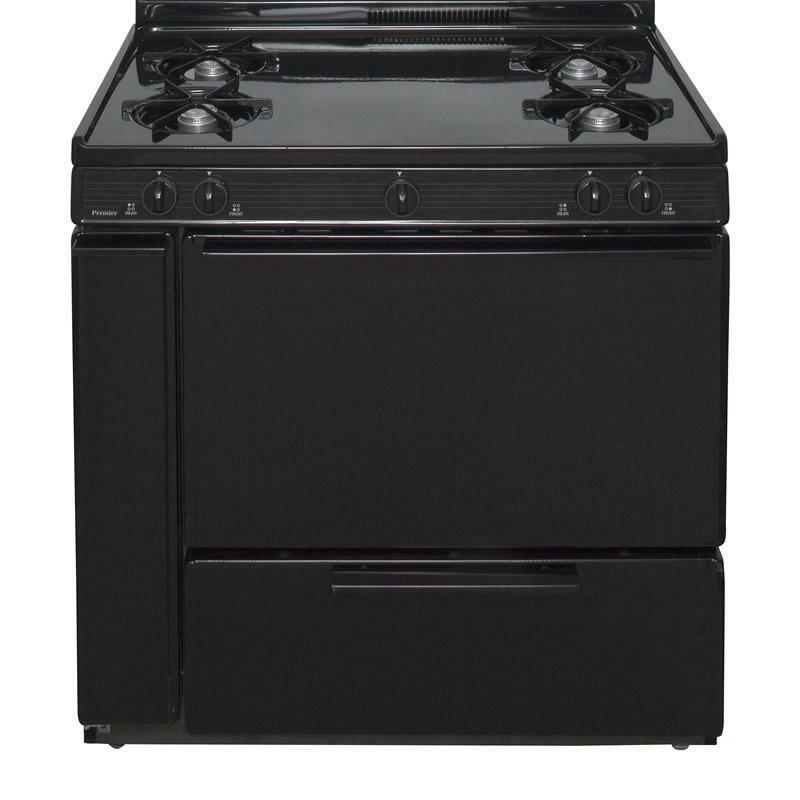 This Premier Ranges 36 Inch gas range comes with 4 open burners with electronic ignition and a 3. 9 cu. ft. manual clean oven. This premier range comes with a 4 inch porcelain back-guard and uses electronic ignition. All premier gas ranges can be used with natural gas or LP without buying conversion kits or any other extra parts. Premier gas range has a porcelain finish top that makes cleaning much easier. It also include heavy duty grids with porcelain finish. Additional Dimensions Depth excl. Handles: 26".